Round Hematite Magnetic Gemstone. Shape: Round. Hole: 1.2mm. 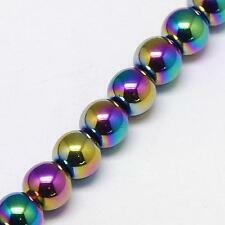 PREMIUM QUALITY RAINBOW ROUND HEMATITE BEADS 8mm... PREMIUM QUALITY HEMATITE BEADS NON MAGNETIC..., RAINBOW COLOURS .... 8mm 50 PER BAG ( 1 string quantity )... HOLE 1mm... 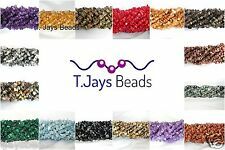 PLEASE NOTE ALL BEADS ARE SUPPLIED AS LOOSE BEADS NOT ON STRINGS THE MIX IS A RANDOM COLLECTION FROM THE COLOURS SHOWN... PLEASE SELECT FROM A HUGE RANGE OF FINDINGS AND BEADS TO COMPLIMENT THESE BEADS... CLICK HERE FOR MORE ITEM INFO AND A LINK TO OUR EBAY SHOP FOR THOUSANDS OF GREAT CRAFT ITEMS ... PLUS BUY ANY 6 ITEMS PAY FOR 5. PREMIUM QUALITY RAINBOW FLAT ROUND DISC HEMATITE BEADS 10mm... PREMIUM QUALITY HEMATITE BEADS NON MAGNETIC, RAINBOW COLOURS ... 10mm x 2mm... 50 PER BAG... HOLE 1mm... PLEASE NOTE ALL BEADS ARE SUPPLIED AS LOOSE BEADS NOT ON STRINGS... PLEASE SELECT FROM A HUGE RANGE OF FINDINGS AND BEADS TO COMPLIMENT THESE BEADS...CLICKHERE FOR MORE ITEM INFO AND A LINK TO OUR EBAY SHOP WITH THOUSANDS OF GREAT CRAFT ITEMS...PLUS BUY ANY 6 ITEMS PAY FOR 5. Material: Hematite. Size: approx 10mm x 2mm. 30 HematiteDisk/Rondelle Beads. Quantity: 30. PREMIUM QUALITY RAINBOW ROUND HEMATITE BEADS 6mm... PREMIUM QUALITY HEMATITE BEADS NON MAGNETIC, .. RAINBOW COLOURS .... 6mm 70 PER BAG ( 1 string quantity )... HOLE 1mm... PLEASE NOTE ALL BEADS ARE SUPPLIED AS LOOSE BEADS NOT ON STRINGS. ... PLEASE SELECT FROM A HUGE RANGE OF FINDINGS AND BEADS TO COMPLIMENT THESE BEADS...CLICK HERE FOR MORE INFO AND A LINK TO OUR SHOP FOR THOUSANDS OF GREAT CRAFT ITEMS..PLUS BUY ANY 6 ITEMS PAY FOR 5. PREMIUM QUALITY RAINBOW DROP HEMATITE BEADS 16mm... 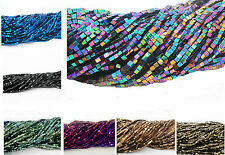 PREMIUM QUALITY HEMATITE BEADS .., RAINBOW COLOURS... . 16mm x 8mm 10 PER BAG... HOLE 1mm... PLEASE NOTE ALL BEADS ARE SUPPLIED AS LOOSE BEADS NOT ON STRINGS THE MIX IS A RANDOM COLLECTION FROM THE COLOURS SHOWN.... PLEASE SELECT FROM A HUGE RANGE OF FINDINGS AND BEADS TO COMPLIMENT THESE BEADS...CLICK HERE FOR MORE ITEM INFO AND A LINK TO OUR EBAY SHOP FOR THOUSANDS OF GREAT CRAFT ITEMS ...PLUS BUY ANY 6 ITEMS PAY FOR 5. 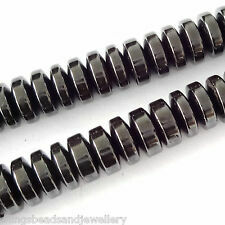 PREMIUM QUALITY DISC RONDELLE HEMATITE BEADS 6mm 145 Bead string or 50 Beads. PREMIUM QUALITY STAR HEMATITE BEADS 6mm. 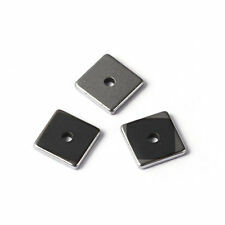 PREMIUM AAA QUALITY CUBE HEMATITE BEADS choose 8 mm 6mm 4mm. PREMIUM QUALITY HEMATITE SHAMBALLA BEADS choose 2mm 3mm 4mm 6mm 8mm 10mm 12mm. PREMIUM QUALITY RAINBOW ROUND HEMATITE BEADS 4mm... PREMIUM QUALITY HEMATITE BEADS NON MAGNETIC, .. RAINBOW COLOURS .... mm 100 PER BAG ( 1 string quantity )... HOLE 1mm... PLEASE NOTE ALL BEADS ARE SUPPLIED AS LOOSE BEADS NOT ON STRINGS. ... PLEASE SELECT FROM A HUGE RANGE OF FINDINGS AND BEADS TO COMPLIMENT THESE BEADS...CLICK HERE FOR MORE INFO AND A LINK TO OUR SHOP FOR THOUSANDS OF GREAT CRAFT ITEMS..PLUS BUY ANY 6 ITEMS PAY FOR 5. PREMIUM QUALITY RAINBOW STAR HEMATITE BEADS 8mm... PREMIUM QUALITY HEMATITE BEADS NON MAGNETIC.., 8mm 20 PER BAG... PLEASE NOTE ALL BEADS ARE SUPPLIED AS LOOSE BEADS NOT ON STRINGS... HOLE 1mm... PLEASE SELECT FROM A HUGE RANGE OF FINDINGS AND BEADS TO COMPLIMENT THESE BEADS...CLICK HERE FOR MORE ITEM INFO AND A LINK TO OUR EBAY SHOP FOR THOUSANDS OF GREAT CRAFT ITEMS..PLUS BUY ANY 6 ITEMS PAY FOR 5. Hematite Round Beads 6mm 16" Strand. Approximately 75 Beads. Non Magnetic. Hematite 6mm Round Beads. Non magnetic. These beautiful beads are ideal for making bracelets and necklaces. FROSTED GLASS BEADS. 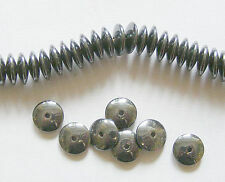 PREMIUM QUALITY HEMATITE BEADS NON MAGNETIC,FROSTED. 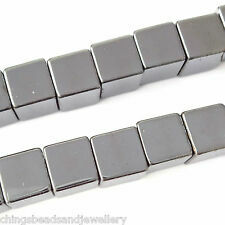 PREMIUM AAA QUALITY CUBE HEMATITE BEADS choose 8 mm 6mm 4mm. PREMIUM QUALITY HEMATITE SHAMBALLA BEADS choose 2mm 3mm 4mm 6mm 8mm 10mm 12mm. 1 Strand Hematite Heart Beads. Strand length: 38cm. 55 Beads Approx. Keep your jewellery, findings and beads tarnish free by removing when washing your hands, showering, swimming, exercising and before going to bed. Magnetic Rainbow Cube Bead. made with love by. Colour - Rainbow. PREMIUM QUALITY RAINBOW STAR HEMATITE BEADS 10mm... PREMIUM QUALITY HEMATITE BEADS NON MAGNETIC.., 10mm 20 PER BAG... PLEASE NOTE ALL BEADS ARE SUPPLIED AS LOOSE BEADS NOT ON STRINGS... HOLE 1mm... PLEASE SELECT FROM A HUGE RANGE OF FINDINGS AND BEADS TO COMPLIMENT THESE BEADS...CLICK HERE FOR MORE ITEM INFO AND A LINK TO OUR EBAY SHOP FOR THOUSANDS OF GREAT CRAFT ITEMS..PLUS BUY ANY 6 ITEMS PAY FOR 5 . Material : Hematite. Color : Multicolor. Quantity: 1 Strand. Note : thickness：2.8mm( 1/8") hole size: 0.5mm. Check out this item at ". Beautiful Agogo Hematite Pendant. Size: 25mmx35mm. Hematite Disc/Rondelle Beads 4mm. 16" Strand. Approx 210 Beads. Non Magnetic. Non magnetic. These beautiful beads are ideal for making bracelets and necklaces. 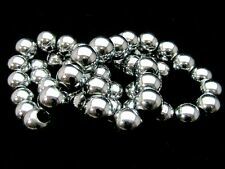 You will receive 50 x 8mm Silver Plated Non- Magnetic Hematite Beads. Hematite Beads. (1 full strand). (except weekends). PREMIUM QUALITY NATURAL GEMSTONE FLUORITE BEADS 6mm... ENJOY THE NATURAL GEMSTONE BEAUTY OF THESE VERY EYE CATCHING BEADS.. . 6mm 30 Per Bag... HOLE 1mm... PLEASE SELECT FROM A HUGE RANGE OF FINDINGS AND BEADS TO COMPLIMENT THESE BEADS... CLICK HERE FOR MORE ITEM INFO AND A LINK TO OUR EBAY SHOP FOR THOUSANDS OF GREAT CRAFT ITEMS....PLUS BUY ANY 6 ITEMS PAY FOR 5. 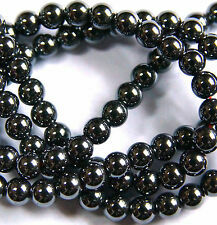 Hematite Round Beads 8mm. 16" Strand. Approximately 51 Beads. Non Magnetic.